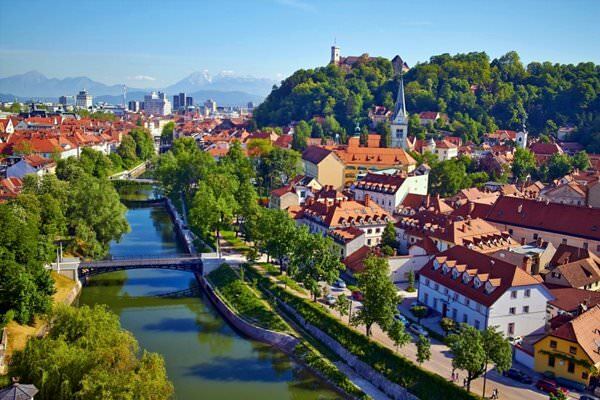 The first settlements on the territory of present Slovenia were formed in the 6th century AD. Almost a hundred years later, they were unified into the first Slovene country named Carantania. This country had existed not for so long. In the first half of the 8th century, it was forced to become a Frankish protectorate. It fell under the Franks in 1180. In the years ahead, the territory of the country included several separate provinces that became parts of Austria-Hungary in the 14th century. Until the 18th century, the country had fallen into decline. Its economic and political development was shattered by the Thirty Years' War. Shopping in Slovenia - best shopping places, what to buy? The industrial and agricultural production was improved only in the second half of the 18th century. That period in the history of the country is often called the Slovenian Revival. After the end of the First World Ward in 1918, Austria-Hungary fell and Slovenia came to Italy. Consequently, the country became a part of the Socialist Federal Republic of Yugoslavia and gained independence from this in 1991. At present, nothing reminds of the stressful past of the country and multiple military conflicts. 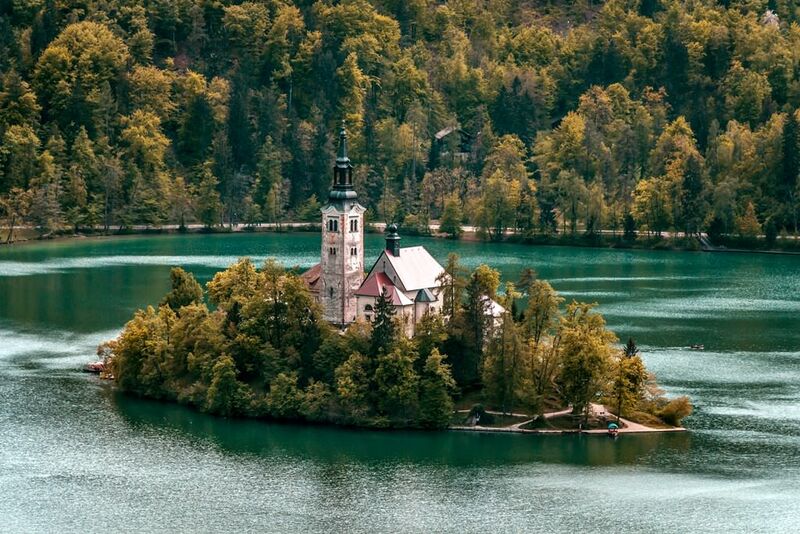 Travelers come to Slovenia to enjoy its amazing unique atmosphere, relax on crystal clear Adriatic beaches, walk along mountainous areas and admire age-old forests. The most popular beach resort in the country is Portoroz. Its sandy beach is often chosen by adherents of health tourism for their vacation. The point is that the sea water here is distinguished by various rare chemical compounds, so it has unique curative properties. It will be interesting for fans of beach recreation to have a vacation not only on the Adriatic coast. Excellent resorts are equipped even on some lakes. There are wonderful resorts on the shores of Bohinj and Bled. In the first half of December, ski resorts of Slovenia start welcoming the guests. The most popular resort here is Bovec. There are ski routes suitable for skiers of different levels. The resort is characterized with a well-developed infrastructure and is targeted at families with children. There are also several special health resorts in the country. Radenci is notable for its healing mineral springs. The resort of Strunjan is located near the deposits of healing muds. This article about iconic landmarks and sights of Slovenia is protected by the copyright law. You can re-use the content, but only under the condition of placement of an active link to www.orangesmile.com. Slovenia's capital has the charming embankment which went by a long Ljubljanica river. This embankment is very old and cozy. Along with it, you will see a lot of buildings with bricked roofs. Thanks to them the atmosphere of this place resembles the old times. The Triple Bridge, constructed by architect Jože Plečnik, is the main symbol of the embankment. The first pedestrian bridge has appeared there in 1842. 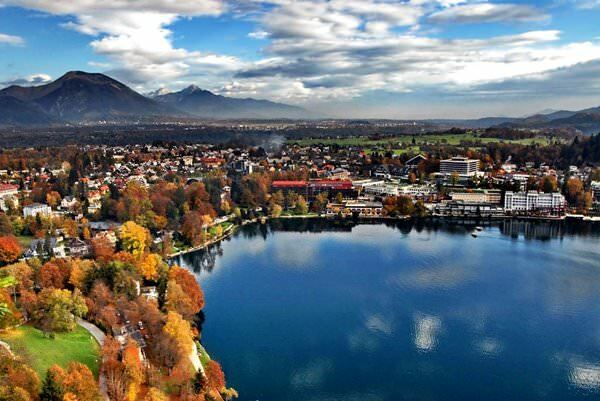 The picturesque town of Bled is in Slovenia, close to the border with Austria and Italy. The main character of this ancient city is the castle, the first mention of which dates back to the beginning of the 11th century. The Bled Castle is located on a cliff top that is 130 meters high. This cliff overlooks the other prominent attraction of the region - Lake Bled. An amazing building, which is sure to keep interest of height-lovers, is situated in Austria, on the banks of the Mur river. This river flows at the border of Austria and Slovenia. Scenic forests grow along its banks. If you will climb the observation tower, you will appreciate the unique landscape in all its glory. 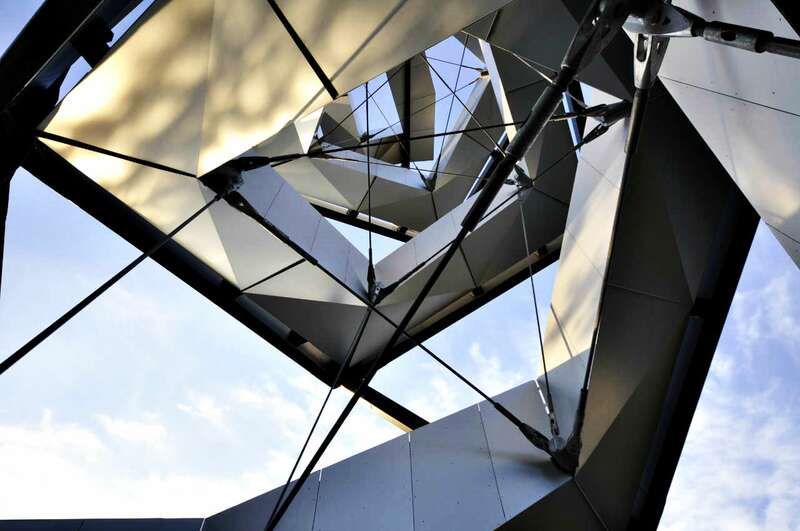 The tower features a rather complex shape of the double helix. Developers of the project were Munich architects. Since its opening, the tower is a popular tourist attraction. Its original design allows to divide tourists into two groups - those who rise up and those who go down. The main building material was aluminium, so the construction of the tower costed managers of the project relatively low and didn't hurt the environment.